WHICH EXAM ARE YOU WRITING? WE HELP ND STUDENTS PASS NPLEX. Plan and schedule your study hours based on exam dates. Create a study schedule with all topics planned out well in advance. Treat studying like a full-time job. There are many study resources available to prepare for both NPLEX-1 and NPLEX-2. They include books, flashcards, courses, and online study materials. Hours of content with numerous lectures and practice questions, this comprehensive exam-prep course covers everything you need to pass the NABNE NPLEX Exams. NPLEX-style questions describe a clinical case and then ask up to 5 questions that are related to the case. We suggest starting by simply reading through material and making sure you understand it. Use tools to match your learning style. Preparing for an exam like NPLEX can be physically and emotionally demanding. Maintain your health to maximize performance. Get instant access to twenty three comprehensive lectures, plus full lecture notes and slides, practice questions, and test-writing tools. We guarantee you pass or we'll extend your access for free. The only courses to have demonstrated improvements in HARD outcomes, including higher marks, more correct answers, and better pass rates for graduates. Pass NPLEX has a demonstrated track record, having been established in 2010 and having courses being delivered across North America to accredited naturopathic institutions. Course content is updated to reflect the most current NPLEX exam from NABNE. You’ll have access to all notes, slides, and videos, all at your fingertips. Content is analyzed thoroughly with in-depth knowledge from past NPLEX question-writers. Graduates are also polled annually to identify the most pertinent material. Course content is available online when you need it. Log in at your convenience and work at your own pace on your own schedule. Accessible via the web or any online device. Get organized by using proven resources and study strategies. We guarantee that you will pass your NPLEX or we will extend your access for free. We believe in transparency. Here are our Cumulative Percentage Scores since the beginning. I took the Pass NPLEX review class this summer and highly recommend it for anyone who is preparing to take the NPLEX 2 exam! Although I had learned many study skills throughout my time in school, I was pleasantly surprised at how many additional tips and tools Pass NPLEX offered in this course that were specifically helpful for the test. The notes provided were of great benefit and I used them to structure and focus my study time. I felt much more confident after attending the course and can now say that I successfully passed the test! 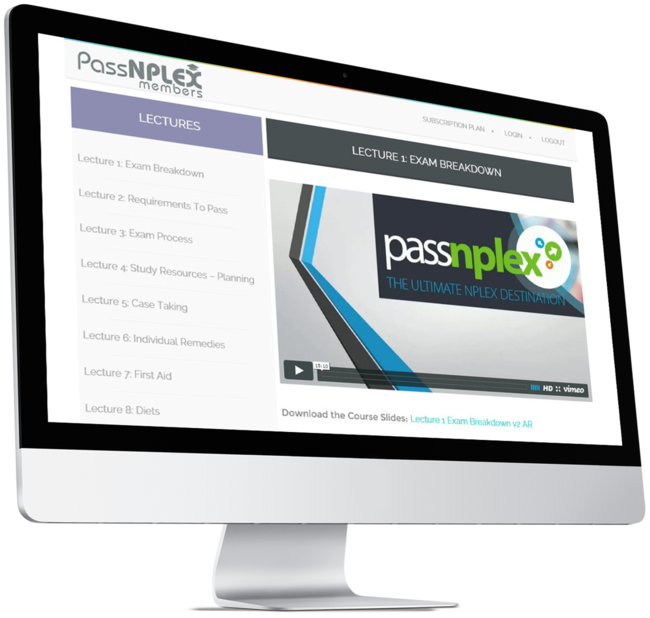 The Pass NPLEX Prep Course helped me to streamline my approach to studying for NPLEX. The course was manageable and delivered in a way that was empowering, not overwhelming. The sample study schedules and guidelines around setting up a study schedule was useful for me in planning my approach to preparation. The notes packages were useful in creating succinct, rapid review content prior to the exam; I found the pharmacology and homeopathy sections particularly useful. The class was structured in an interactive way with sample questions integrated throughout. This course was the best! The Pass NPLEX course really helped to mentally prepare me for NPLEX in terms of what to expect from the exam. In addition to going over a great deal of material, they spent time on how to create a strategic and realistic study schedule, which I found to be invaluable. It really helped me organize my time while preparing for the test. Thanks again. The Pass NPLEX course was very concise and informative. It provided a really good skeleton to formulate a game plan to tackle NPLEX. The tips about how to approach a case were very helpful. The links and mnemonics that they shared from experience studying were funny and useful. The interactive nature of the course kept me engaged the whole time. Overall, it made me feel more confident for the exams, which is more than half the battle. I highly recommend his course. The benefit of taking the Pass NPLEX course is that it alleviates anxiety associated with the sheer volume of information one needs to know regarding the various naturopathic modalities. I found the material especially helpful when quickly going over the various herbs and nutritional supplements when time is limited. Sample cases are also discussed in the course which help students understand how exam writers may pose questions and how best to approach them. I would definitely recommend this course to all future NPLEX candidates. The Pass NPLEX course was very helpful! It gave me the motivation I needed to start studying for NPLEX with the confidence to approach the exam itself. The course provided useful tactics to help prepare for the content to study, how to study effectively, and for the exam process. The content provided included abbreviations and memory tactics that will last beyond NPLEX. Thank you! Now that I know I passed NPLEX 2 I can say with confidence that the Pass NPLEX course and notes provided me with a solid foundation to begin studying. I found the homeopathy and botanical medicine sections to be the most helpful, as they were my highest score. 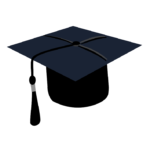 I enjoyed the course components that included lectures and quizzing. Beyond the actual material and study tips provided, how to approach the test was extremely valuable. I could tell that the instructor was invested in helping us students pass the test and he has succeeded in doing so. 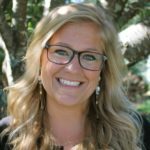 Thanks so much for your help and your amazing online course Pass NPLEX! I used Dr. A's course as well, but I found the Pass NPLEX course was much MUCH more helpful across the board. The course was particularly supportive for me in the Materia Medica section. Thanks! Start Preparing For Your NPLEX Exam Today! Get Organized. Get Focused. Succeed.